Castle Island is one of the main landmarks in Boston’s South Boston neighborhood. A trip to this historical site offers not only a glimpse into significant events in U.S. history, but also plenty of activities and sights for visitors. 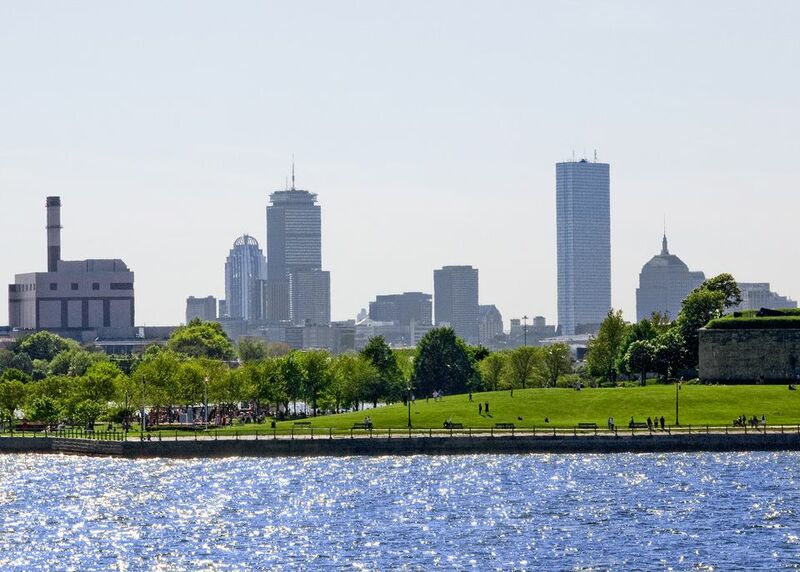 Its history dates back to 1634, when it was used as a sea defense for the city of Boston. While it originated as an earthwork with two platforms and three cannons, later structures replaced this, including a pine log fort in 1644, another structure in 1653 and a fourth in 1673 when the previous was destroyed by a fire. In 1703, another fort was built, this one known as “Castle William,” which had over 70 cannons on site. During historic events such as the Boston Tea Party in 1773, many used Castle William as a source of protection. As the British evacuated Boston in 1775, this fort was destroyed but then repaired under the direction of Lt. Colonel Paul Revere. Castle William was even the site of stamp storage after the passing of the Stamp Act in 1765. Ultimately, in 1799, President John Adams built and named a new fort “Fort Independence,” and it was reconstructed in 1851 to increase its height and size, along with subbing out brick for granite. The reason Castle Island doesn’t seem like much of an island today is that it was connected via a bridge back in 1892, which was then completely filled in during the 1930s. Go for a Walk: The most popular activity at Castle Island is walking along the HarborWalk, which is a 2.2-mile loop along the ocean. Here you’ll find families and their four-legged friends casually strolling and others getting more exercise in by running around the loop. It’s nice and flat and perfect for all ages, and the route can be shortened by avoiding the walk around Fort Independence. Hit the Beach: Along the walk, you’ll pass by Pleasure Beach, a great spot for posting up at the beach and swimming in the artificial pond known as Pleasure Bay. There’s also another smaller beach closer to Fort Independence. And off the beaches, that’s where you’ll oftentimes find wind surfers taking advantage of the breeze and cove. Take a Tour: Free guided tours of Fort Independence run weekend days from noon to 3:30 p.m. They are led by volunteers of the Castle Island Association, a group that works to preserve and celebrate its history. The tours are 30 minutes and give a glimpse into the fort’s history through colonial and revolutionary times. Grab a Bite to Eat: Many people come to Castle Island specifically to get lobster rolls, hot dogs, ice cream and more from Sullivan’s Castle Island, known to most as “Sully’s,” a true South Boston landmark that has been open since 1951. It opens for the season as early as late February and each year it celebrates the kick-off with half-price hot dogs. Expect a very long line as people flock from near and far to get in on the deal. And with the opening of Sully’s comes the excitement of spring being (finally) just around the corner, though in recent years it has taken a while for the warm weather to stick around. Entertain Your Kids: Castle Island is a great spot to bring the kids not only for a hot dog at Sullivan’s and a nice family walk, but also for the great playgrounds and grassy areas to grill and picnic. The biggest playground is a short walk from Sullivan’s—you can’t miss the kiddos running around and this is also where you’ll find the public restrooms. There’s also an ice cream truck that typically stops by the parking lot across the street from City Point, a greenway with a pavilion, another playground, and bathhouse. Aside from the City Point parking area, you can find plenty of parking along the HarborWalk as you head toward Sullivan’s, and there you’ll find a larger parking lot that does tend to get crowded given its central location to all things Castle Island. South Boston continues to be an up-and-coming neighborhood, and with that, many great restaurants pop up every year. One that’s walking distance from Castle Island is Local 149, where you’ll find modern American bar food and plenty of craft beers and unique cocktails. You can also head to Broadway, the destination for most of the other popular restaurants in the area, along with various boutiques and shops to pop into. And also not too far from Castle Island is Boston’s Seaport neighborhood, home of Legal Seafood Harborside with a huge roof deck overlooking the ocean, and many other restaurants and bars. If you happen to be visiting South Boston and Castle Island between November and February, you can head to the DCR Murphy Memorial Skating Rink for public ice skating.